Velikoye, an oil field with a projected reserve of 300 million tons of oil and 90 billion cubic meters of natural gas, is the largest found in Russia in the last 20 years. It is located in the Astrakhan Region and belongs to the small firm AFB. The project is in the exploratory phase. The Russian Ministry of Natural Resources has announced the discovery of Velikoye, an oil field with a projected reserve of 300 million tons of oil and 90 billion cubic meters of natural gas, which is the largest found in Russia in the last 20 years. It is located in the Astrakhan Region and belongs to the small company AFB. The project is currently in the exploratory phase. “Work continues at the oil field, but it is already clear that it is one of the largest fields recently discovered on land,” said Natural Resources Minister Sergei Donskoi. According to the minister, the development of the new oil field will proceed quickly and efficiently. The field was discovered by the small company AFB, whose major shareholder is Vitaly Vantsev, the co-owner of Moscow’s Vnukovo Airport. The company is considering the major oil and gas companies as partners for the project, but so far is not conducting any negotiations on the subject of either a partial or a complete sale of its assets. According to estimates by the lead analyst at UFS IC, Ilya Balakirev, a preliminary estimate puts the size of the investment at $1.5 billion. “If the reserves at Velikoye are confirmed, this is definitely the largest oil field discovered in the past 20 years, and it could be, based on reserves, in sixth or seventh place out of the ten largest in the country,” said one expert. Will Russia switch to ruble trading for oil and gas? According to Pyotr Kaznacheyev, director of the Center for Raw Material Economics at RANEPA, considering the foreign policy and economic situation, Western banks will not provide those kind of funds. Moreover, their participation in the project as minority partners is unlikely. Rosneft, which can acquire advance financing from Chinese state banks against future delivery of oil, is the most likely to show interest in the project. As Rosneft depends on government contracts it is in a position to take advantage of this plan. The company’s purchase of TNK-BP was also financed this way. 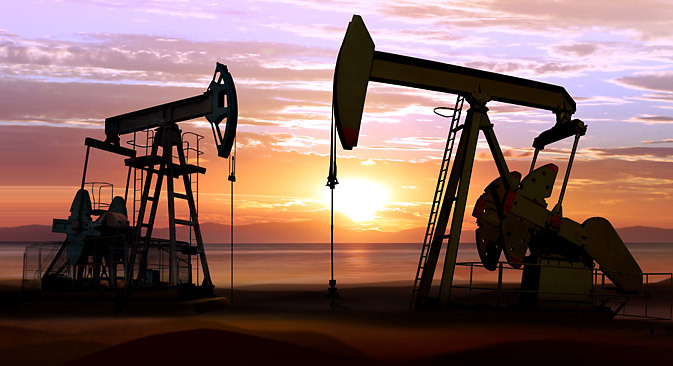 Information about the discovery of a large oil field in the Astrakhan Region came to light two years ago, but at that time its reserves were estimated at only 43 million tons of oil. In 2013, Interfax, quoting the lead geologist at AFB, reported that the company estimated the field’s reserves at 140 million tons of oil and 40 billion cubic meters of natural gas. At the same time, it was noted that the Velikoye oil was light crude. Today, the majority of the oil in the Astrakhan Region is extra heavy, and its processing and subsequent sale is extremely difficult. One of the market participants told Kommersant that it took an interest in, for example, one of the neighboring fields, but in the end declined the purchase. If reserves of light crude in the field are confirmed, that completely changes things. Will Ukraine be able to find an alternative to Gazprom? The largest companies in the field — Rosneft, Lukoi, and Gazpromneft — have declined to comment on their interest in the project. According to Karen Dashyan of Advance Capital, only one exploratory well has been drilled and cannot provide exact information about the oil reserves. In his opinion, that is why investors have so far considered the risk factor to be high. “For the field’s reserves to be convincing for the market, the company needs two or three more wells,” he said.